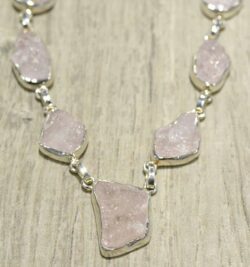 Handmade morganite jewelry from Glassando will delight anyone who loves pink jewelry or natural gemstone jewelry. 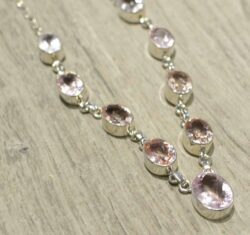 Glassando’s morganite pieces include morganite pendants, morganite necklaces, morganite bracelets, and morganite earrings! 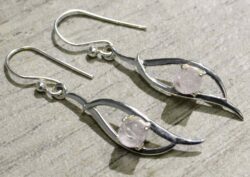 Our selection also features both faceted morganite and rough morganite, as well as morganite set in sterling silver. Artisan morganite jewelry from Glassando features pendants, earrings, bracelets, and necklaces! The color of this popular stone makes it a wonderful option for anyone who enjoys pink jewelry or peach jewelry. Our selection includes faceted morganite, rough morganite druzy, statement morganite jewelry, and morganite and sterling silver jewelry. 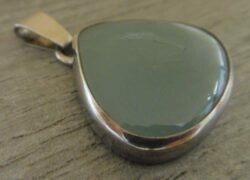 These are available here on our website as well as inside our Iowa City jewelry store, where we feature an even larger selection of handmade pendants, necklaces, bracelets, earrings, and rings! Glassando is a locally owned jewelry store located inside down town Iowa City’s Old Capitol Town Center. The Old Capitol Town Center can also be called the University Capitol Center or the Old Capitol Mall. It is located next to the University of Iowa Pentacrest and offers convenient parking in the attached Capitol Street Parking Ramp. Your first hour of parking there is offered free of charge! 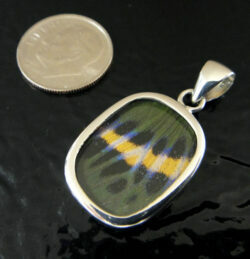 Glassando is open 7 days a week and our staff is happy to help you find the perfect piece of artisan handmade jewelry!